As an enterprise client you will have a dedicated member from our team for training and account management. Moreover, you get 24/7 live chat and email support anytime you need to need guidance or further product assistance. 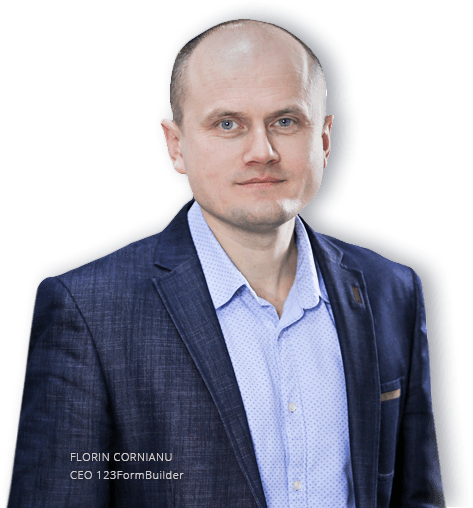 Your dedicated account manager will design a personalized experience during your journey as 123FormBuilder client. You will start from setting up together your custom scenario to designing the first forms. We know that growing a business can require a lot of time and effort, that’s why we are offering you dedicated resources to build your forms. Extend your current functionalities with the right product features that you need in order to succeed. We are a dedicated team of business consultants ready to find the best solution you need to scale your business to the next level, automate your internal processes, and eliminate paperwork across every department. Start by sharing your needs with one of our consultants, and we'll be ready to answer all your questions during a live product demo!